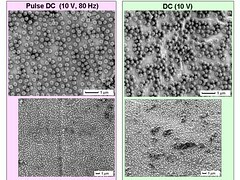 Controlling morphology of nanoparticle structure assembling on a solid substrate by external force. 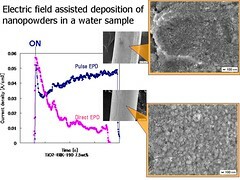 Source material: High crystalline TiO2 nanopowders prepared by a gas-phase method. Our newly developed pulse-DC electrophoresis system can control 2-dimensional structure of particles in a water sample.